We’ve always had a love affair with chocolate, which is why we only use the best at BB – Valrhona is our chocolatier of choice, providing us with world-class dark, milk & white chocolate to use across our menus. It’s chocolate week so why not drop by at lunch time to sample our poached pear “Belle Hélène” served with warm chocolate sauce available on our set menu. Joining us in the evening instead? 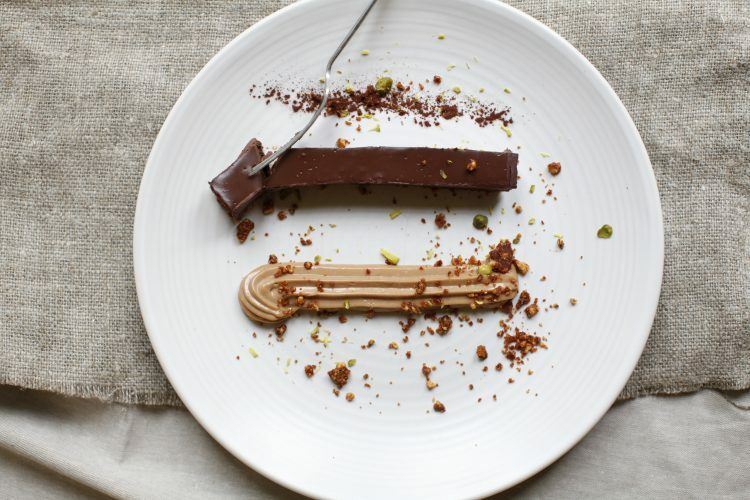 Well you’re going to love our velvety chocolate delice; crispy feuillantine base, smooth chocolate ganache, praline panacotta cream and hazelnuts available from our à la carte dessert selection – heaven on a plate. Or why not try your hand at one of Raymond Blanc’s favourite chocolate recipes at home like this indulgent gluten free chocolate & almond torte or gorgeous chocolate mousse crumble.